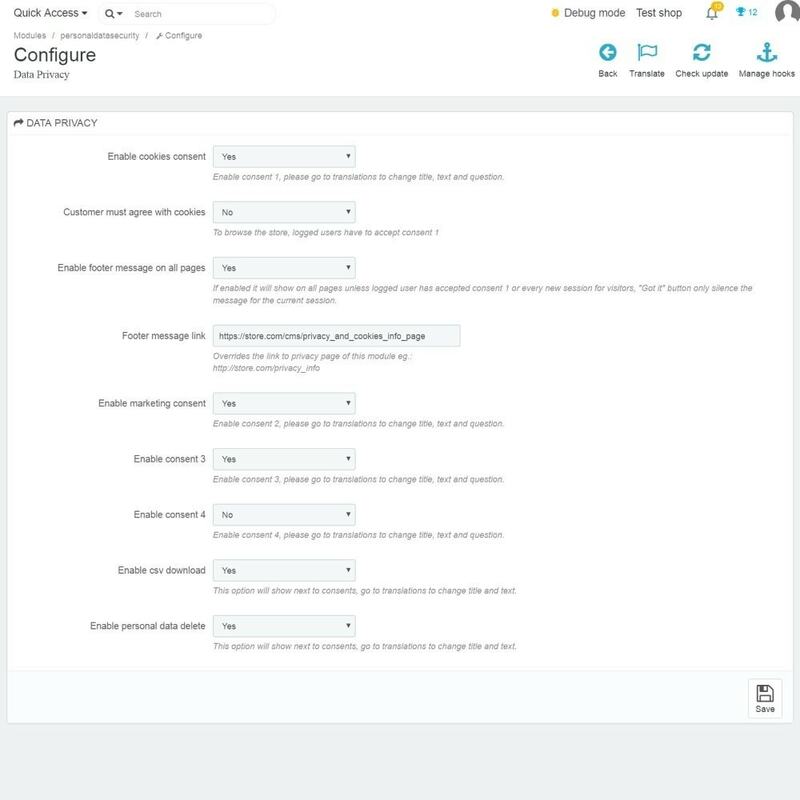 It is now possible to build your own consent requests. You can activate or deactivate up to 4 different consent requests. 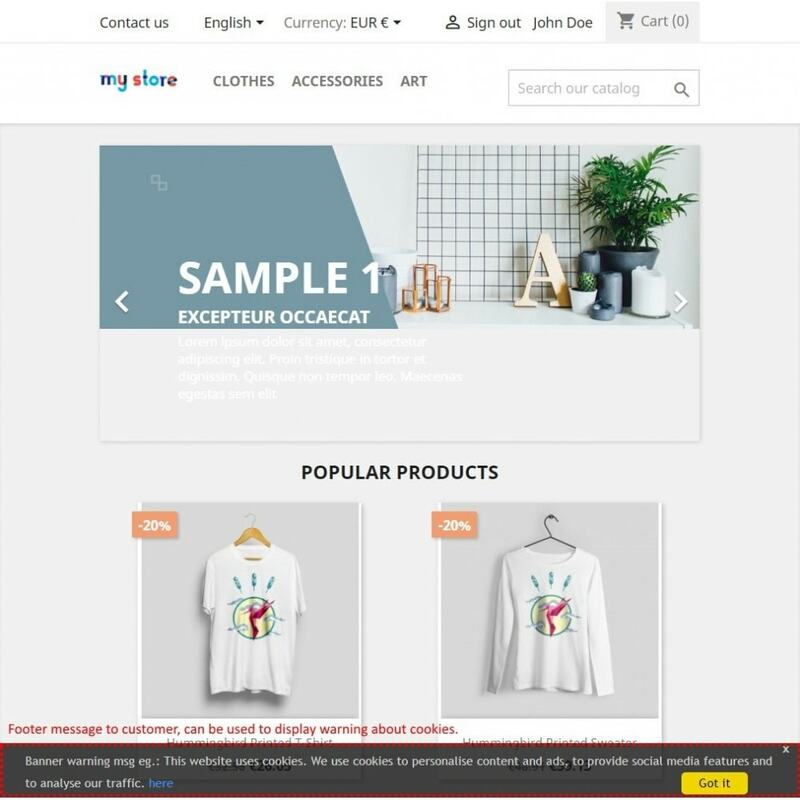 Consent # 1 has associated a notice that appears on all pages of the site. It is possible to force consent # 1, with this option, the client will only have access to the store if he / she consents. 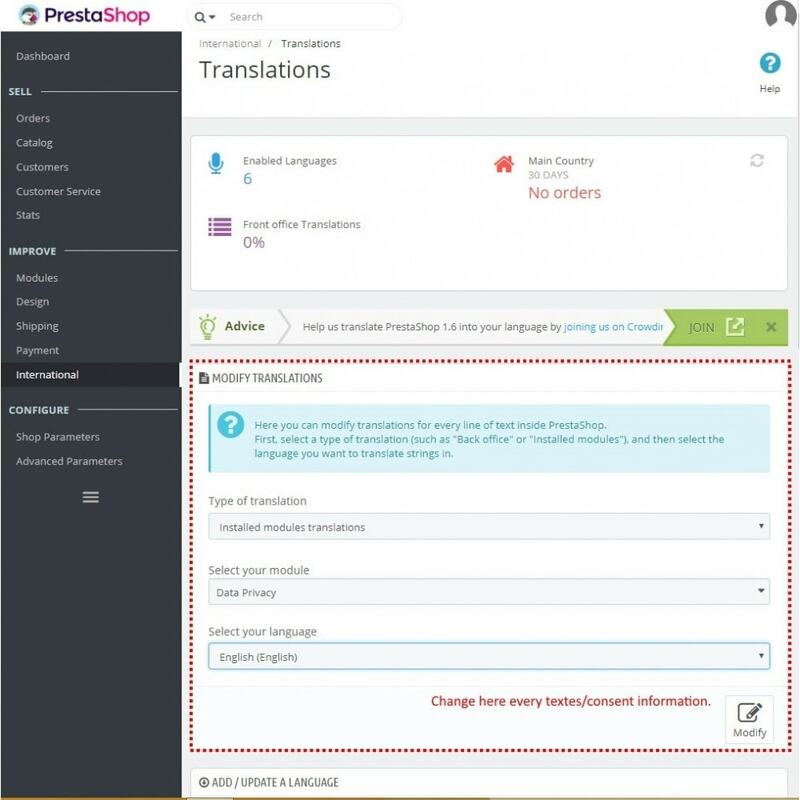 Customers can automatically review any consents they have given. In all consents the user can set the deadline of the same, by default the suggested limit of 1 year is suggested. Customers can automatically obtain their personal data in digital format. 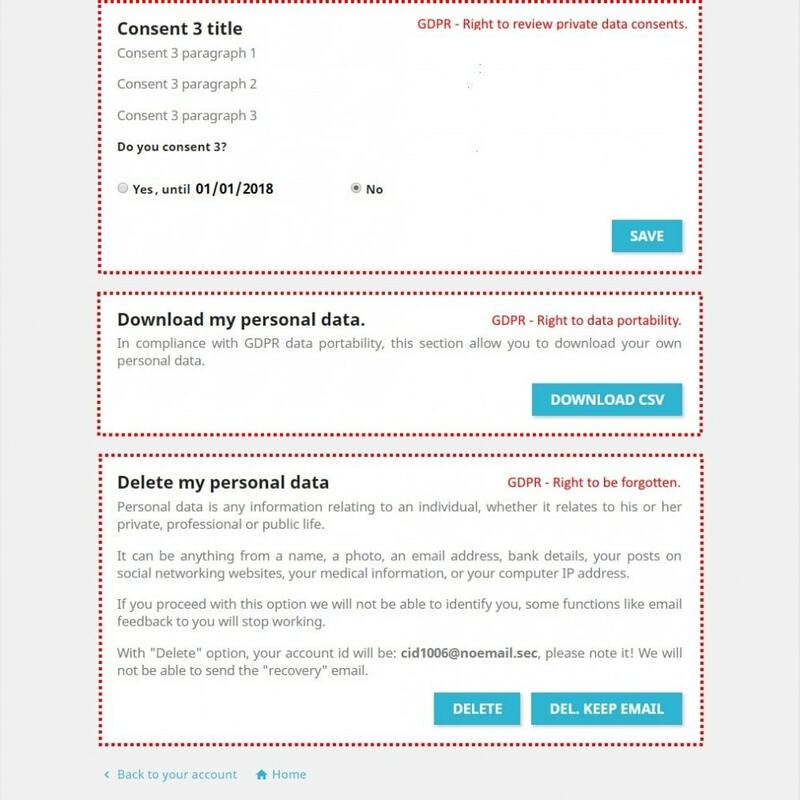 Customers can automatically delete their personal data. 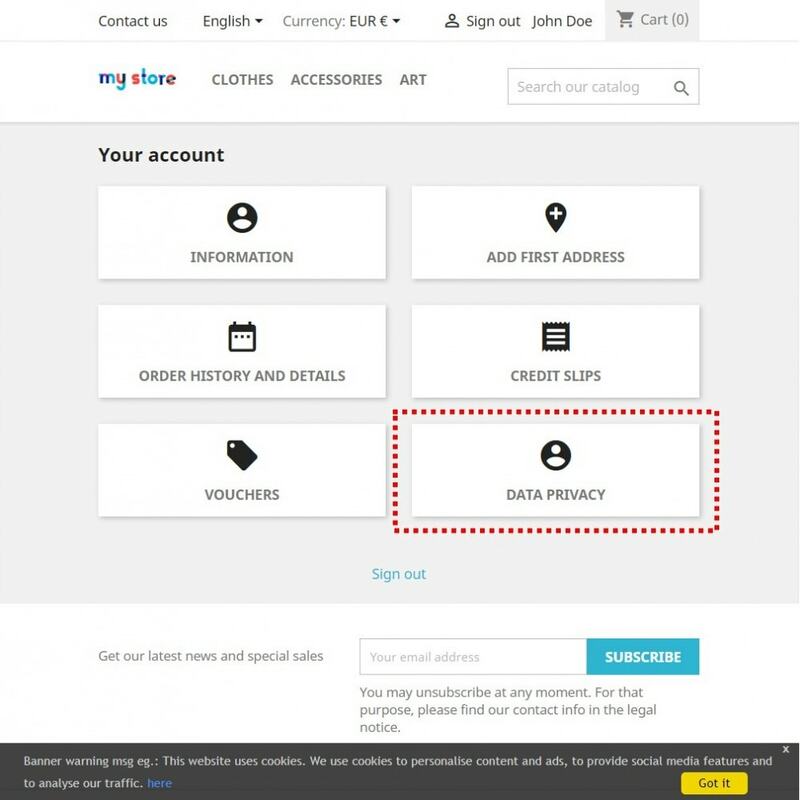 You can enable or disable the options for forgetting and downloading personal data. 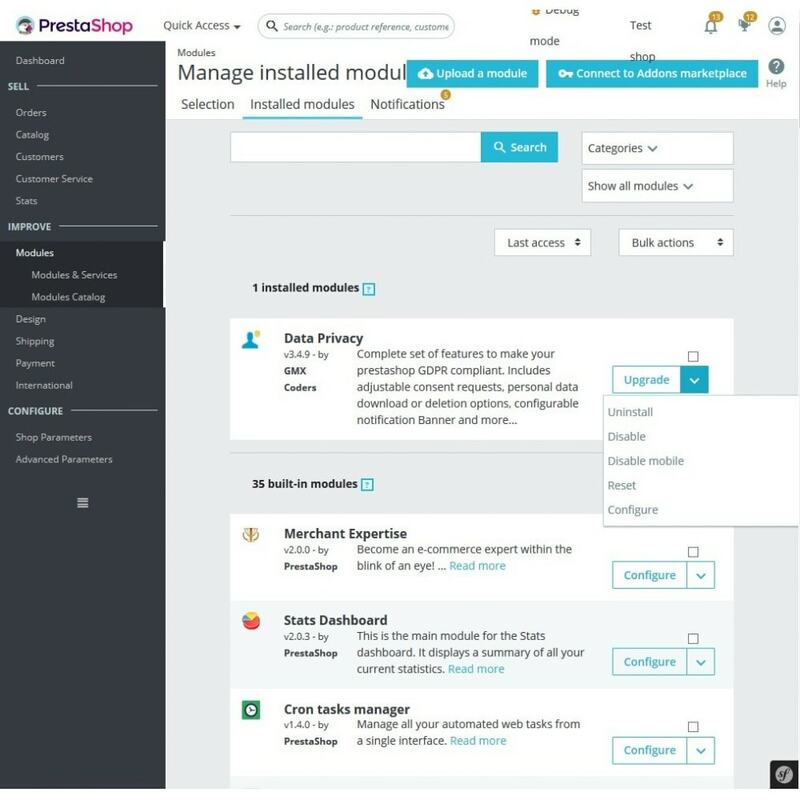 When the customer activates the function that deletes their personal data, this option does not erase the customer's order history or store access. 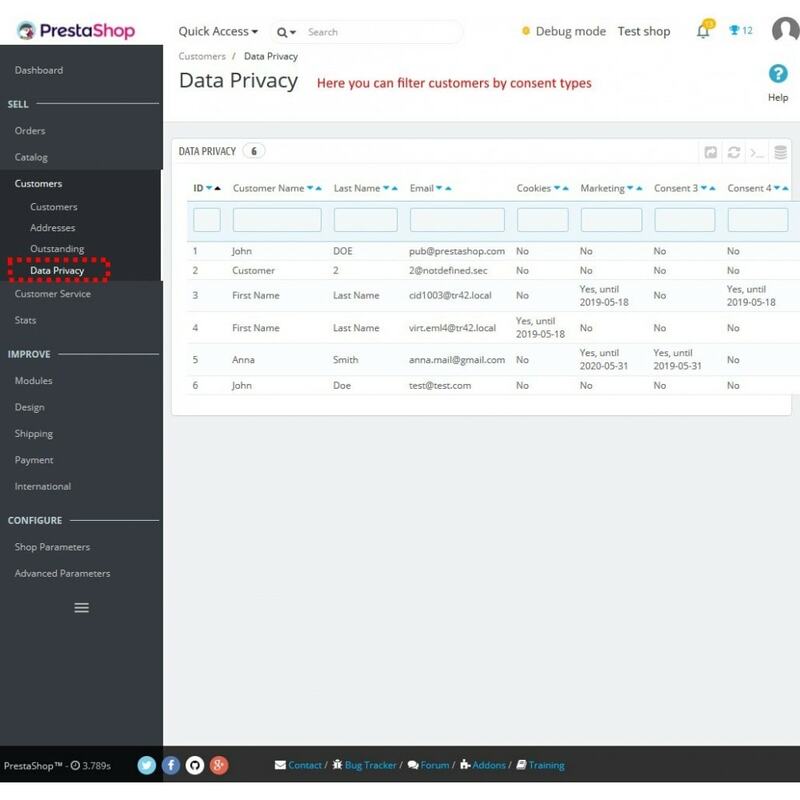 In backoffice the store manager can search for all customers who have agreed to something and the deadline of it. 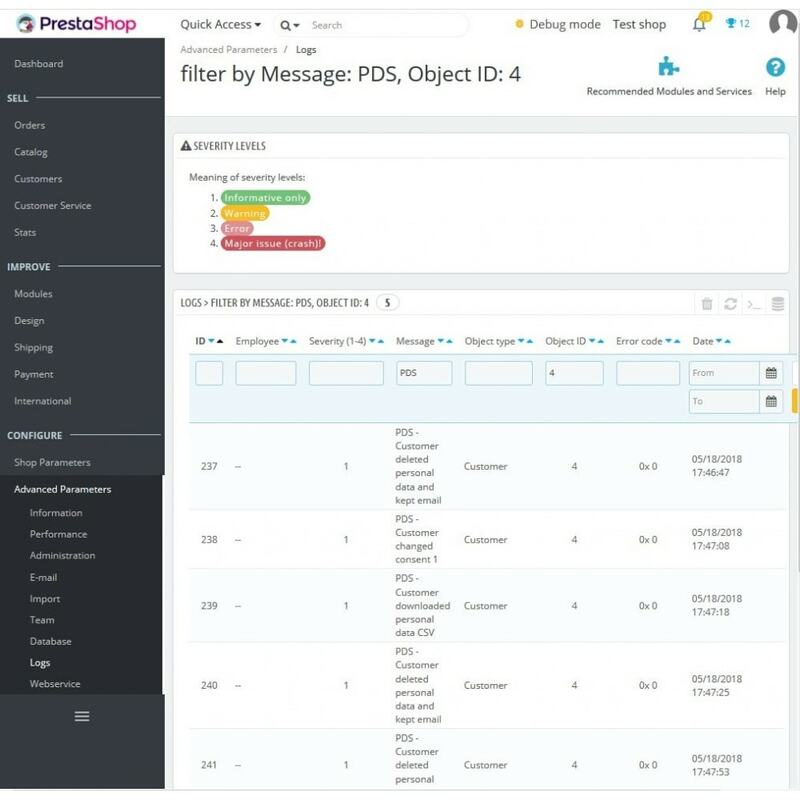 In backoffice the manager can analyze the history of options used by his clients. GDPR - Right to review private data related consents. GDPR - Right to be forgotten. GDPR - Right to data portability. 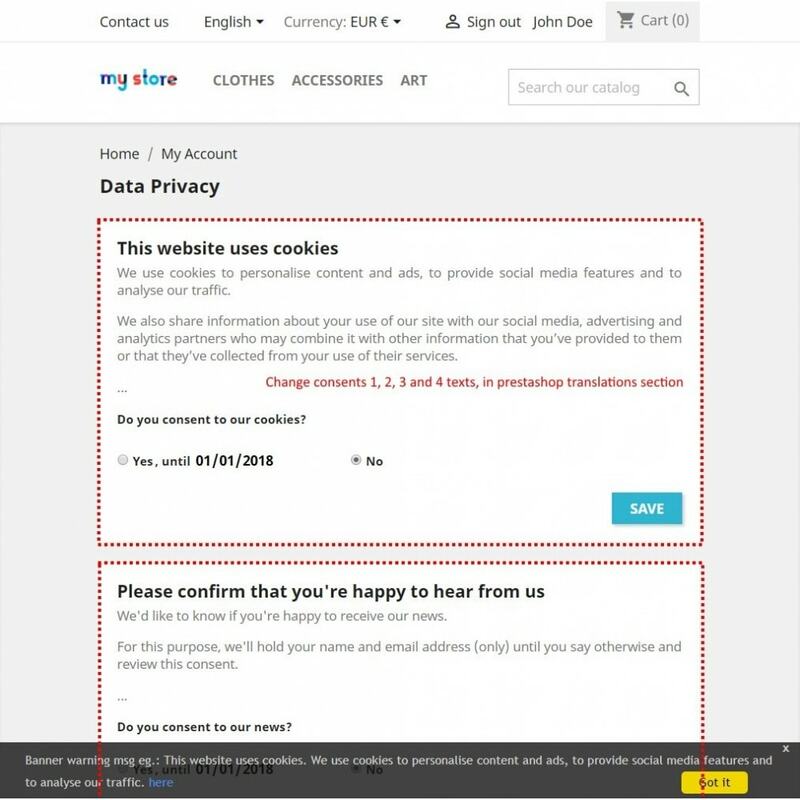 GDPR - Right to cookies information and consent.